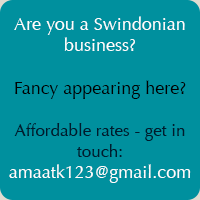 Most if not all of the posts in this Swindon in business section have so come via other Outset Swindon clients. But this one is by way of a change. Julie Nicholls is someone who I’ve met via the women’s networking group Women Mean Biz that I attend in my AA Editorial Services capacity – and I figured there was no reason why I couldn’t open up this section of Born again Swindonian to other members of the group. Julie trained as a nurse in Belgium and then came to England to do here training in remedial massage. Julie moved to Swindon in 1993 and set up her practice she has helped hundreds of people with all manner of problems from headaches to back pain, RSI and even ME. Julie is passionate about treating people then teaching them how to look after themselves rather than have to rely on drugs having seen first hand the devastating side effects of allopathic medicine. For this reason she continued training in other therapies such as Trager and EMDR so that she could deal with the root causes of a problem rather than just the symptoms. Treat the body, ease the mind, free the person, for health and happiness naturally! ‘According to Albert Einstein, the definition of insanity is doing the same thing over and over again and expecting different results. Yes it’s crazy, yet it’s much more common than you think. So many people would like to feel better but continue to do the things that are causing the problem. Why? Often because they’ve just accepted that it’s age or that nothing can be done simply because the doctor has told them so. Even if one side hurts and the other doesn’t and both sides are obviously the same age. In some ways, it’s easier to accept that nothing can be done rather than face the fact that we could be doing something that is creating the problem and therefore can do something to help it. Also, when people do feel something could be done then they have no idea how to go about changing it or think that it would take too much time and energy. In my experience this not the case – subtle and simple changes can make a huge difference especially when I teach clients how to walk differently. Putting their heel down first rather than their toes, allowing them to bend their knees or push off with their toes are small changes which can ease lower back, knee, ankle and foot pain and tension. These are simple but knowing how to ease discomfort without the side effects of medication can change someone’s life. Why such a big effect? Well, walking is not simply the act of getting from A to B: it also mirrors our state of mind. You never see someone who is depressed walking with head held high or someone happy who is dragging their feet with round shoulders and their head low. As I walk around town I notice so many people whose way of walking could easily be having a detrimental effect upon their health – this saddens when I know it could be different for them. For this reason I have set up a talk and demonstration on the 8th June and a workshop on the 20th June about feet, balance and walking so that more people can make some changes to their walking and improve their health and wellbeing without the time and cost of having private sessions. So next time you walk to your car or go and make a drink, notice how free and comfortable it feels and, as the saying goes, if it ain’t broke, don’t fix it but if you are not getting a feeling you really like then it’s time to change or carry on being insane!